Oooo, a foreshadowing title! What horrible thing could have happened? One of the disadvantages of knowing people who have an interest in your well being is that they tend to communicate with you (and, in fairness, vice versa also), and when you’re not right on top of current events in your blog posts then you tend to give away news ahead of time. To those of you who prefer to keep a genteel distance from me at all times, I apologize for having thereby put you at the disadvantage. I’ll do my best to remedy that, somewhat, here. As I mentioned last time, that Norwegian beach condo in Khanom was definitely the best place I’d stayed in Thailand thus far. 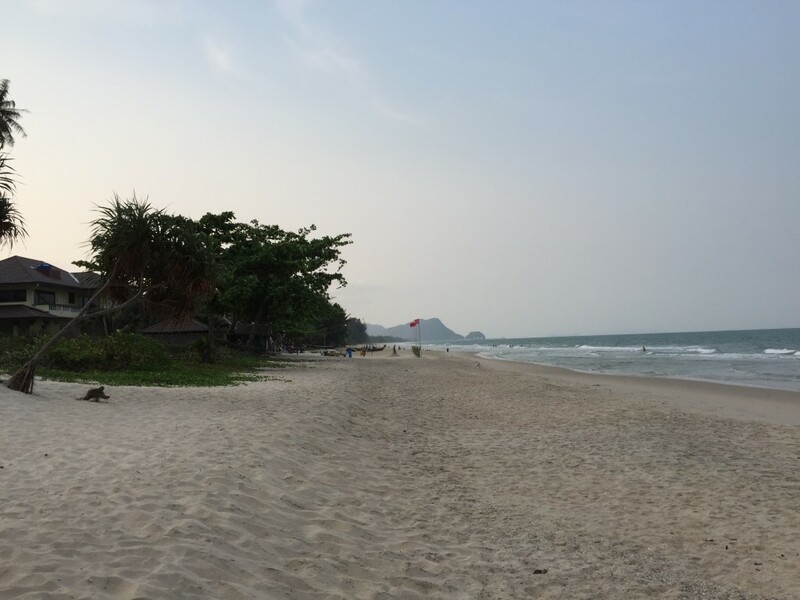 Fully equipped, quiet, pollution-free, mostly great internet, great view, great beach, minimal bugs,…. The only downsides were that it didn’t have great air circulation, so afternoons with the windows open could be a bit warm, and it was a bit far from anything useful. The town of Khanom was a 5-10 minute scooter ride away from the condo building — as I discovered when I rented a scooter for the day from one of the other residents (a large, friendly, Norwegian guy in his 30s who spoke excellent English and would loan me his for 200 baht for the day) and rode there to get groceries and toilet paper. (Side note: I was a bit shocked to find that there was no TP in the place. I’d had the foresight to save the remnant of a roll that maids in a prior place had discarded with a fair bit of paper still on it, and that helped me through the first night. It also made the grocery run on day 2 a vital necessity.) Khanom town proper is maybe a kilometer inland, and had a long and intermittently built-up main street, with assorted small convenience stores, marts, and hardware places. It had a bank and, as I discovered by riding a good long way along it, a small Tesco, and between one place and another I managed to find enough to meet my needs. Especially, a medium sized bag of Jasmine brown rice — I’m not sure how large, because the writing is all in Thai, but I think it weighed 2 Œβ®ð. 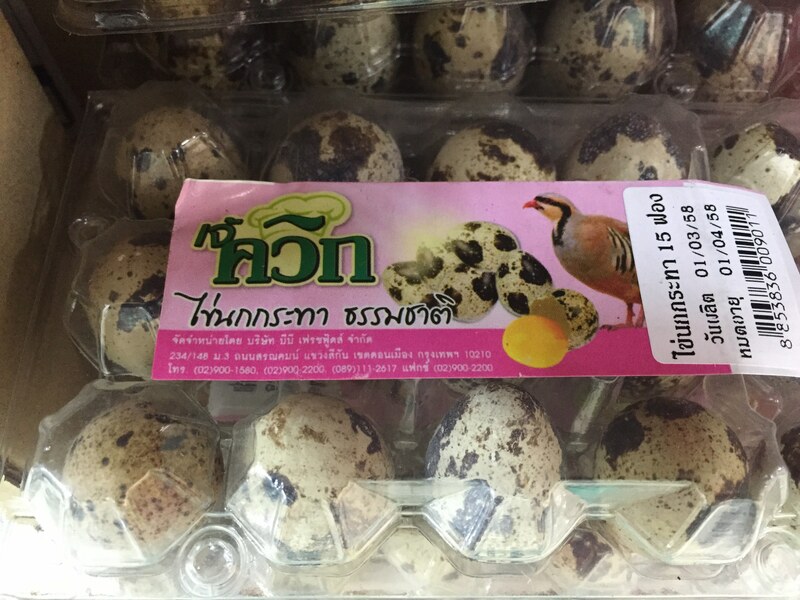 Quail eggs, maybe? I hadn’t evolved to the point of cooking eggs yet, when I saw these. Totally doing it, next time. Unless they’re really vanilla/dark chocolate confections, in which case I’m *really* totally doing it next time. My condo had an espresso machine, which got me pretty excited for coffee (though I’d have boiled it in a pot on the stove before I’d have made espresso). However, I was unable to find any place that sold coffee. By which I mean “real” coffee: almost every store I went into sold instant coffees, sometimes a wide selection of them. But it’s one thing to drink that stuff once as a joke, and quite another to attempt to drink it as an actual beverage drunk for the pleasure of the experience. I realized, looking at these shops with their instant coffees and prepackaged foods, that Thailand has reached that point in their technological evolution that we were in the 50s, when the fact that a foodstuff can be conveniently packaged by modern science seems like such an amazing and cool advance that you embrace it with enthusiasm for those reasons alone. In a decade or two, they’ll start to appreciate that real, less processed food tastes better. (I hope. Most of America still hasn’t, but I’ll wish the Thais better luck with that.) Anyway, I’m not sure why the unit even had an espresso machine. 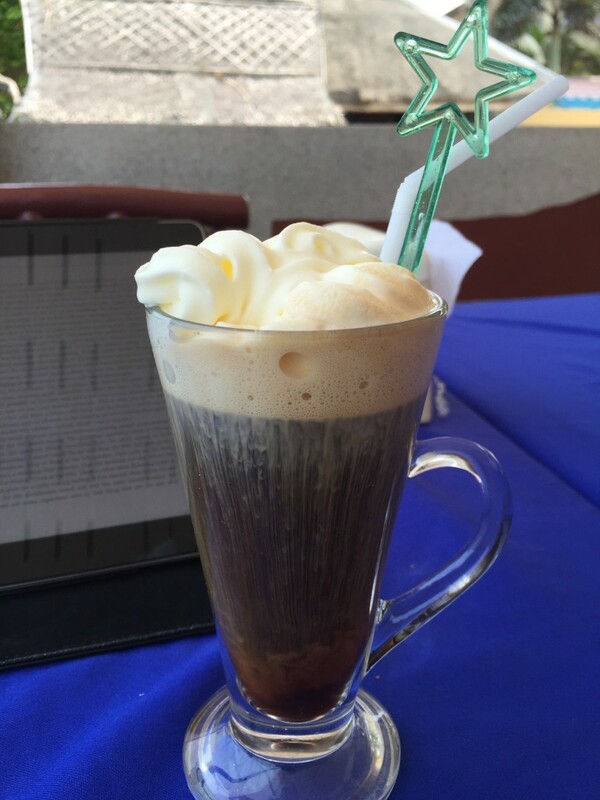 Maybe the Norwegian owner, Zuzana, brought her own ground coffee when she’d stay there? As I’ve been here in Thailand longer, I’ve managed to sort out how to eat fairly healthily without a kitchen, and also how to save a few baht by not eating out so much. Mostly, this involves finding fresh veggies and using yoghurt as a dip, fruit juices with pulp, canned tuna, cheese when I can get it, some reasonably decent instant soups, organic oatmeal (from Rimpig in Chiang Mai), etc. Then supplementing with the occasional meal out. (Sometimes more than occasional; I had breakfast at Coffee Monster every morning that I was nearby, with eggs and sausage and potatoes and toast and jam.) I’d tweak that if I had access to both a kitchen and good grocery stores, but I have yet to have access to both. 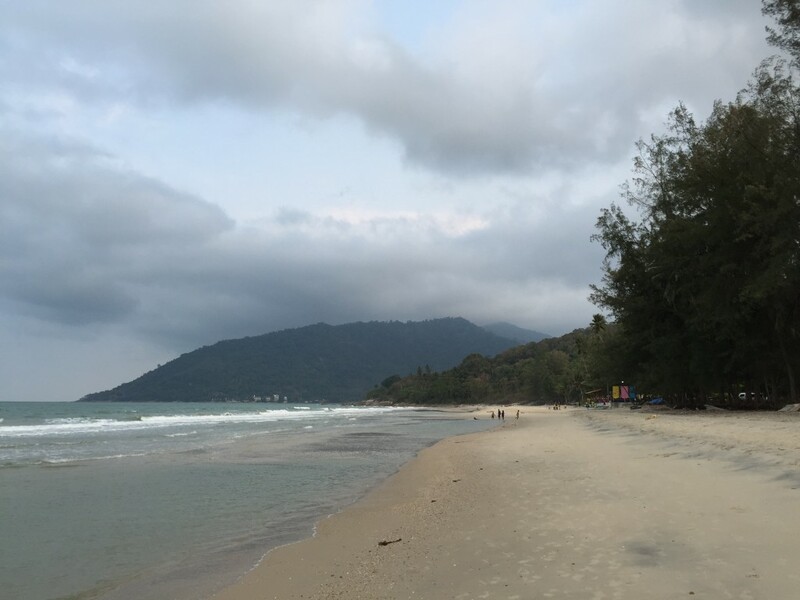 In Khanom, the Jasmine brown rice made for a nice breakfast, and roughly half the time dinner was at the CC Beach Bar just north of us along the beach. A CC Beach Bar pano, east towards the shore and south towards my condo. I ate there my first night in Khanom and it took me all of one visit to pick my favorite seat and then use it every time I went. Sheldon himself could not have done better. I confess that I did choose a different seat the next-to-last time I went. The ocean breeze was pretty strong that day, and they’d rolled down clear plastic shades over this central seating area, blocking the wind but also obscuring the view and leaving the space a bit stifling. I moved from seat to seat for about 5 minutes, and finally settled on one under that little thatched roof you see to the south, a wall-less space like an open hut with two backed benches and a picnic table. The wind was pretty strong, but I only ate a little sand from it and it beat being stifled. Good enough, for government work. They had a small staff, as far as I could tell: I had the same waitress every time I went, and I only saw her and a bartender, and maybe a secondary waitstaff person hanging about doing nothing observable. My waitress had me a bit puzzled. Visit 1, she seemed stiff and a bit disagreeable. Visits 2-5, I saw real moments of friendliness and good cheer, but then I’d see her being stiff and frowny again. 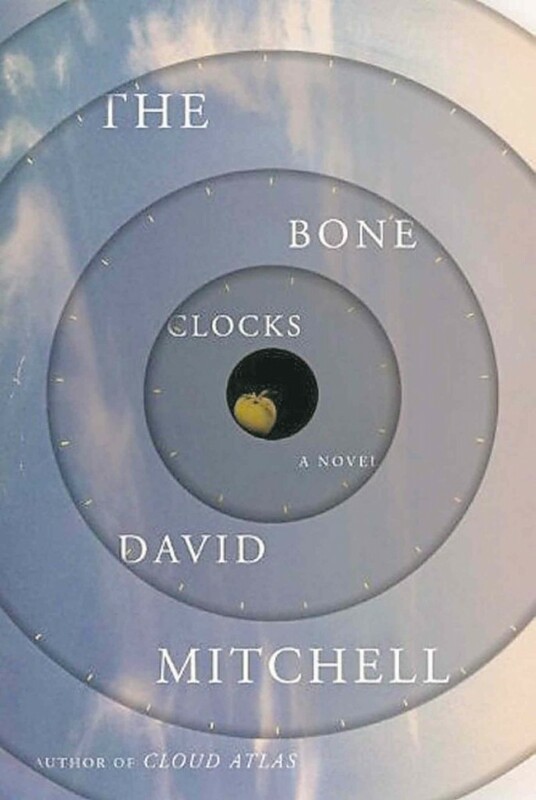 As I watched her, I began to get the impression that she physically hurt, and so she moved with some discomfort, holding her body slightly torqued, and you’d get the good cheer when she was less bothered by it. I didn’t ask about it, obviously — it seemed intrusive, and I can’t imagine trying to navigate that discussion across our language barrier. (I may have thereby sacrificed my chance at the Holy Grail, but in all honesty my odds of achieving that goal were never good.) I simply made a point of smiling really warmly and tipping, and I got the good cheer as much as I probably was going to. I think my favorite part of this stay was swimming, which I did about 2/3s of the mornings I was there. I think it had been a solid 15 years since I’d swum in the ocean. Then, it was mostly when I went to the beach with Brandon or with Ash, and I think the latter stopped about the time he went to college. So, yeah, about 15 years. I *really* liked it. Cities to me, wherever they are (US, Nepal, England, Scotland, Thailand) just feel like cities to me. Physical structures and people, with slightly different textures in different places. But being out in different nature, that always feels more real to me, and the differences are much more moving. Out in the water, looking at the tropical shoreline and the mountains, that’s when the sense of change hit me, the sense that I was really here and my life was different. The first couple of days, I kept stopping and looking and laughing, and then swimming some more. It was, quite simply, awesome. I’m trying to figure out why I should even go back to Chiang Mai. Buddhist temples, yada, yada, but nature as the real temple is so universally recognized as to have reached the point of cliche. Still true though. I don’t know. We’ll see how I feel in a month. All told, I was there for 7 nights, and then scheduled to leave on March 23rd to stay on the nearby island of Koh Samui for 5 weeks, after which I’d have to leave the country and reenter to satisfy my Visa requirements. (Each entry period during the year my visa is valid is good for 90 days.) So, Monday, March 23, I packed everything up, paid the building manager for electricity, water, and cleaning services (about 700 baht, would have been much higher if I’d used the AC), and was picked up by a local taxi guy. This was a muuuuuch nicer taxi than that hellish sauna box that Uncle drove in Chiang Mai. 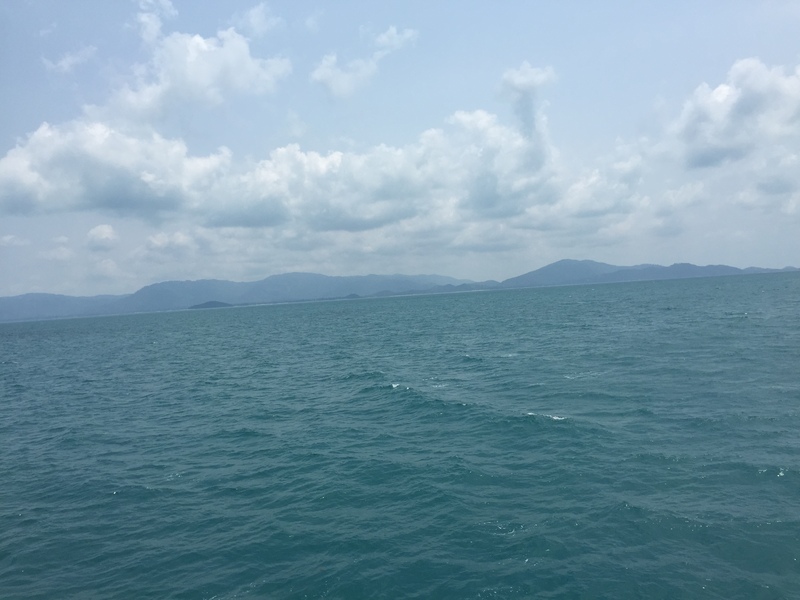 The car was in good condition, the AC was good, the driver, Mr Wat (with whom I attempted no Abbott and Costello routines), was friendly and agreeably talkative, and got me to the Seatran Ferry at Donsak in plenty of time for my 11am boat to Nathon Pier. I sat out in the warm but pleasantly shaded patio area and snacked on water and cashews until I saw people lining up, and after everyone on the arriving ferry departed we slowly worked our way down the sidewalk and onto the boat. The ferry had a car deck below, a hoi polloi deck above that, and some sort of first class deck on the top. I hadn’t known there even was a first class deck when I bought the 150 baht ticket, or I might have tried it. The hoi polloi deck had an enclosed, air conditioned area, and then a small, open air seating section on the landward end of the docked boat, which became the aft end as we traveled to Koh Samui. I decided to sit outside, to enjoy the fresh air and the view. In retrospect, this may have been a mistake, because the “fresh air” turned out to include a group of French tourists and a Thai local bonding over a shared love of tobacco, and exhaust from the boat’s engines. With the result that my Tuesday was spent in what seems to be becoming the usual, post-pollution, headache day. Hopefully, with enough time, I’ll recover from my Chiang Mai toxic air overload and get this excess sensitivity out of my system. (Pretty please?) On the plus side, we did see some dolphins, and the view was terrific. Maybe next time I’ll risk it again, but I’ll make a point of sitting upwind on that deck, instead of my downwind position at the aft, port corner. The view as we departed, taken 2nd row, behind the French tourists. I moved to the right edge of the row shortly thereafter, for a better view. It did not save me from the cigarette smoke that followed. That blue sun hat I bought really paid off. 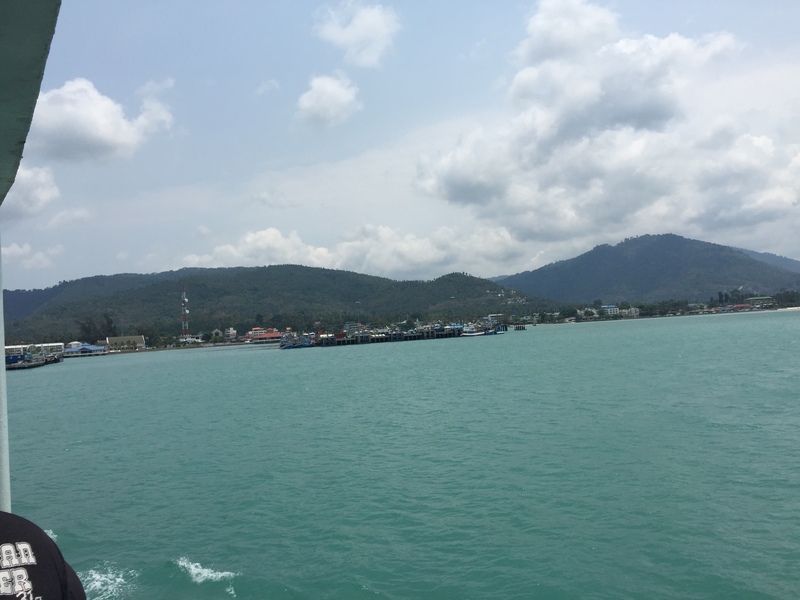 Arriving at Nathon Pier, on Koh Samui’s north west coast. The ferry arrived at 12:30. But that is, as they say, another story. This entry was posted in Uncategorized and tagged CC Beach Bar, coffee, David Mitchell, donkeys, Donsak, ferry, fish and chips, headache, instant coffee, Irish Coffee, Khanom, Koh Samui, Mr Wat, Nathon Pier, nature, Norwegians, rice, swimming, The Bone Clocks. Bookmark the permalink. I am thoroughly enjoying all of your meal time and snack descriptions, and I’m wondering if you are gaining or losing weight. And I love your verification process to send this comment. Ahhhh, thank you for the vicarious bliss from your account of the first couple of days. I love that you “kept stopping and looking and laughing, and then swimming some more.” What a beautiful beach scene. 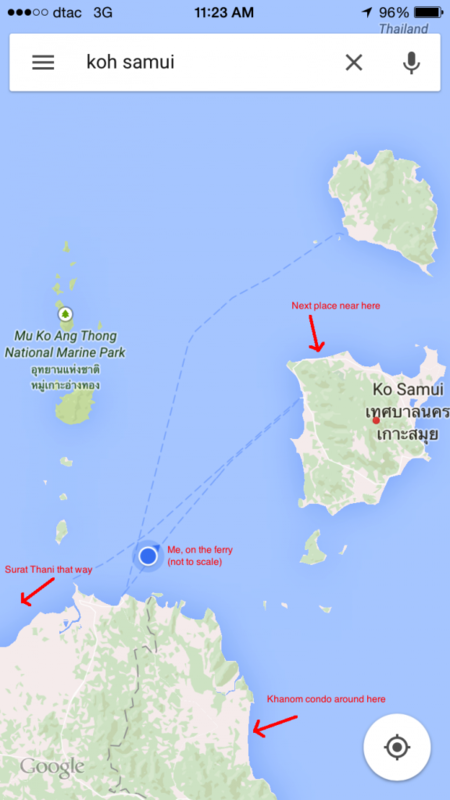 And Koh Samui looks very promising.